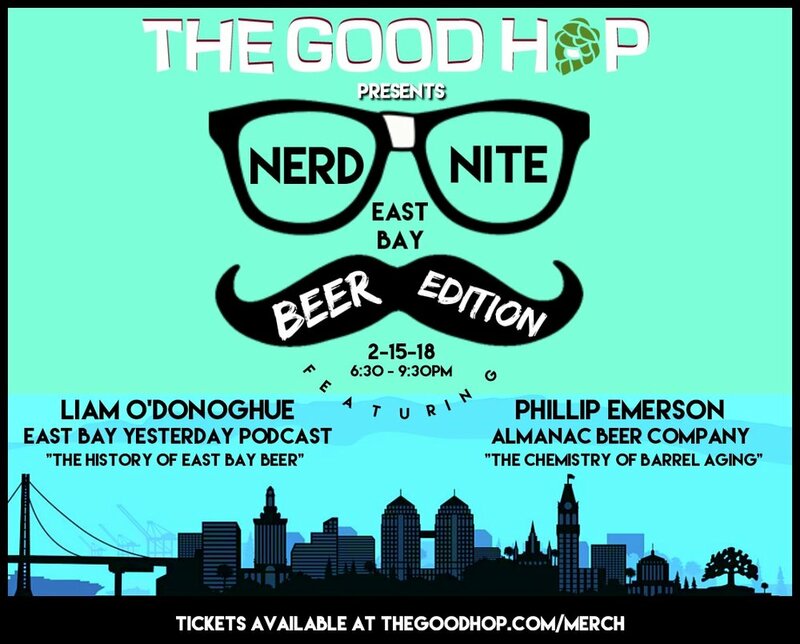 Nerd Nite East Bay is hosting a special Beer Edition at The Good Hop for SF Beer Week 2018! There will be two speakers: Liam O'Donoghue of East Bay Yesterday Podcast presenting "History of East Bay Beer," and Phillip Emerson, head brewer of Almanac Beer Company presenting "The Chemistry of Barrel Aging." This is a private, ticketed event with limited spaces available. Tickets are $35 and include an educational flight and one full pour of any Almanac beer on draft. $5 from each ticket sold goes toward East Bay Yesterday fundraising efforts. Get your tickets HERE.